I first heard about Rocksbox on another blog and was immediately intrigued. 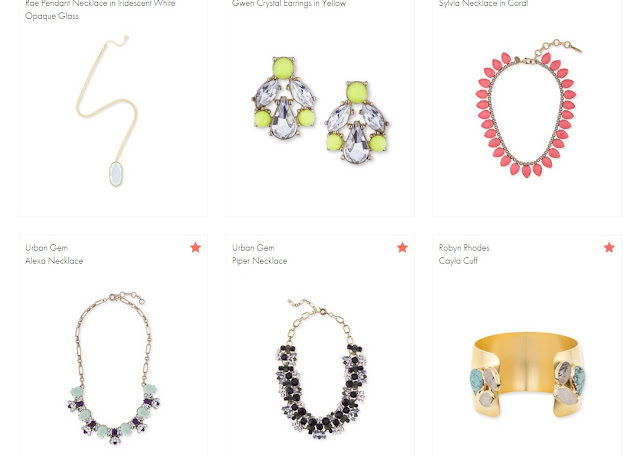 + You take a fun style survey and add items you like to your wishlist. + Rocksbox stylists hand-select three items for you and send you a cute box to your home. + You wear the items as long and as much as you'd like. + Ship the items back (for free) and get three new items ... unlimited times. The sweet stylists at Rocksbox have offered you all a code to enter at checkout to try a month for zip, zero, nada! Just enter code ALIZADVENTURESXOXO for your free month of unlimited jewelry rental so you can give it a shot and see if you love it like I do. Here are the items I was sent and how I've worn them. 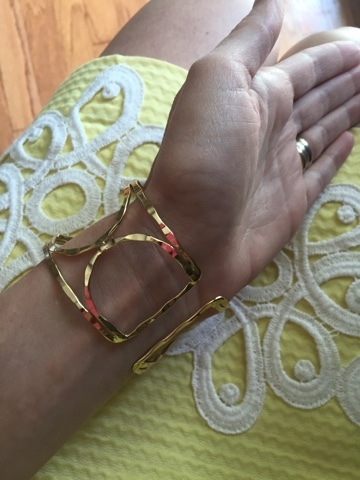 The Jules Smith Textured Open Cuff was probably my favorite item. 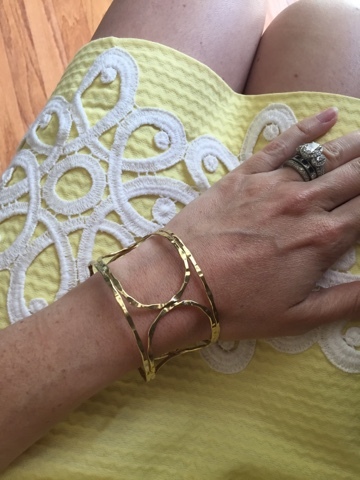 I love wearing gold, and it was really cute paired with a yellow dress for a day in the office. Plus, the cuff is open at back which makes it fit my narrow wrist easily. One of my favorite gemstone cuts is the cushion-cut style. 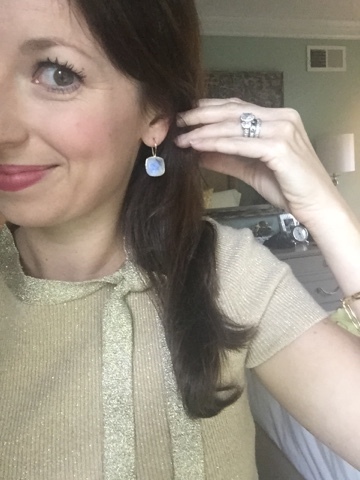 These Margaret Elizabeth Mini Cushion Cut Drops in Moonstone are the prettiest, milky-iridescent hue. They are set in gold and are super lightweight. I paired them with a gold top and some white jeans. Statement necklaces are awesome, but you can definitely have too many. That is why I love renting them! 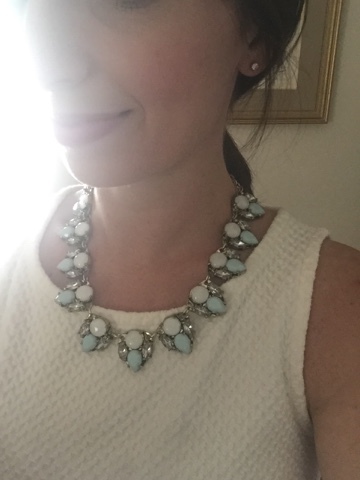 This is the Perry Street Alexis necklace, and I love the mint tones with my ivory textured shell. Rocksbox is $19/month for unlimited swaps back and forth with pre-paid shipping each way. Each box averages around $200 in retail value. As a member, you also get a $10/month credit toward the cost of any item you fall in love with and decide not to send back. Don't forget to enter code ALIZADVENTURESXOXO for a free month. Have you used Rocksbox before? If you give the free month trial a shot, I'd love to hear what pieces you end up receiving! So interesting! 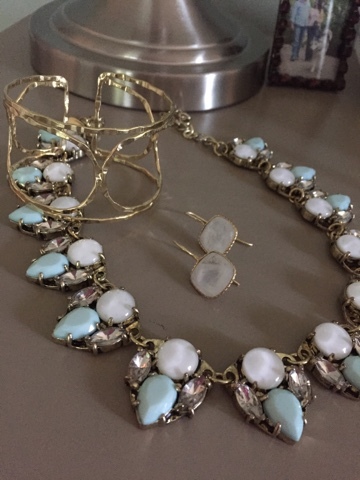 I did Rent the Runway awhile back and rented a Lily necklace to go with my dress - I don't know if jewelry renting is for me, though, because I still totally wanted to wear the necklace the next day. And week. And month. I love this! The only thing that makes me hesitant is the fact that I'm sure I'll want to keep every piece they send. Have you bought any?